One of the “learning kicks” that kept Sarah’s interest for a year or more was outer space. Sarah’s been a longtime Star Wars fan (and recently became interested in Star Trek). Then, when she caught a clip from the series “From the Earth to the Moon” at an event we attended, she started wanting to know more and more about lunar exploration. So on one of our trips to the library, we checked out a Neil Armstrong biography and read it cover-to-cover together. That was over the span of a couple months, but Sarah’s interest didn’t wane. So we started digging around for more solar system stuff, but Sarah kept beating us to the punch! The Mars Rover Curiosity’s trip was news to me – but not to Sarah, who’d started following the rover on Twitter. The same was true for the SpaceX Dragon mission – Sarah was the one who told me about it! But with some help from Homeschool AV Guy, aka Sarah’s awesome dad, Chris, we found some great space resources, especially related to the U.S. moon missions. Here’s a look at some of the many highlights of our study so far. 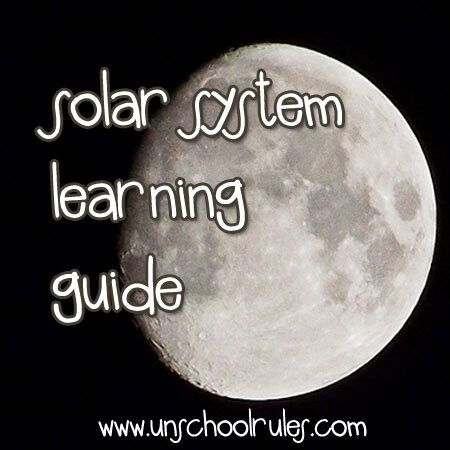 I hope this will prove a great starting point – or diving-deeper point – for anyone interested in learning more about our solar system! Neil Armstrong (Sterling Biography series) – This was the book that started it all for us! 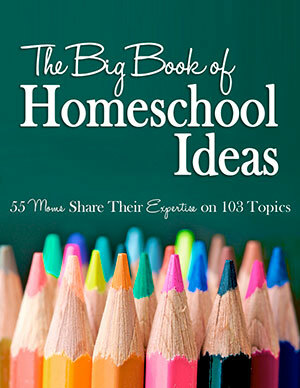 It’s a great read for anywhere from a third-grade through an eighth-grade level. Space: A Visual Encyclopedia – This is one of the DK Books series, and it’s great for browsing and researching. 13 Planets: The Latest View of the Solar System – A National Geographic title, which means of course Sarah loves it! Solar System: A Visual Exploration of All the Planets, Moons and Other Heavenly Bodies that Orbit Our Sun – I’d actually browsed through another book in this series about the periodic table of elements, and this one looks even cooler. The imagery includes both photographs and computer simulations and is phenomenal. 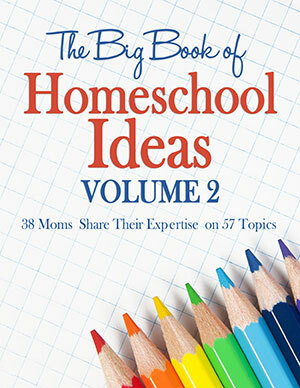 Kids will love it, and there’s detailed info for adults or older students to read. There’s No Place Like Space! – Great for younger kids, this is a factual book from the Cat in the Hat Learning Library series. Midnight on the Moon – This fictional book is part of the incredibly educational Magic Tree House Series (it’s Book 8, if you’re checking your library shelves). Accompanying it is Magic Tree House Fact Tracker: Space, a nonfiction companion. I can’t say enough about this series, which Sarah loved when she was younger! This Place Has No Atmosphere by Paula Danziger – I read this fiction book when I was about middle-school age, and recently reread it. It’s a fascinating middle-grade or even high-school read – and surprisingly informative about what life might be like on the moon in the future! Buzz Aldrin’s autobiography, Magnificent Desolation – This is a book more geared toward adults or older teens. It’s a fascinating read that I really enjoyed, more about Aldrin’s life AFTER the moon. Apollo 13 – I had never seen this from start to finish, believe it or not, but I’m incredibly glad I did. While there are a few notable liberties – like, you know, “Houston, we have a problem,” this is pretty close to the story of what actually happened. Watching this and then watching the accompanying episode of From the Earth to the Moon was a neat study in comparisons. The Right Stuff – This film is based upon the first astronauts, the Mercury Seven team (including Gus Grissom, Deke Slayton and John Glenn). We’re slated to watch this next! In the Shadow of the Moon – We picked up a copy of this incredibly cheaply at a book and movie outlet on our Rehoboth Beach vacation. It includes interviews with most of the astronauts who walked on the moon, though notably not Neil Armstrong. Seeing these men later in life is fascinating in its own right! For All Mankind – This film from the Criterion series is a documentary about all 24 men ever to land on the moon, told in their own voices. We haven’t watched this yet, but Chris raves about it and it’s in our queue! Cosmos – This is the Carl Sagan miniseries originally broadcast on PBS, probably one of the most noted pieces of space television ever aired. The Planets – This is one of the BBC Films documentary series, and if you’ve never seen those, you’re missing out. We have several of their box sets and they’re fantastic; this one included. A Trip to the Moon – This early science-fiction silent film imaged what it would be like to travel from the earth to the moon. Amazing to compare what was and wasn’t accurate! Spacecraft Films – Here, you can literally get every minute of footage taken on the various space missions in DVD form here. GREAT for aficionados! Another just-for-fun favorite has been I Spy Universe, a Nintendo DS game Sarah bought when she first got her 3DS. Many thanks to my friends on Facebook for a TON of great suggestions here! NOT all of these are appropriate for all ages, though Sarah has heard them all. Some are loosely about space, some use space as a metaphor for other topics, and some are factually-based “learning songs.” If you have 45 minutes or so, I really do recommend listening to the Holst orchestral suite, as that’s one I played several movements from in high school band and it really does speak to you about the nature of each planet as you hear them. You might also like this 15-minute music lesson on music inspired by outer space, which offers a really cool look at a huge variety of space-related music! 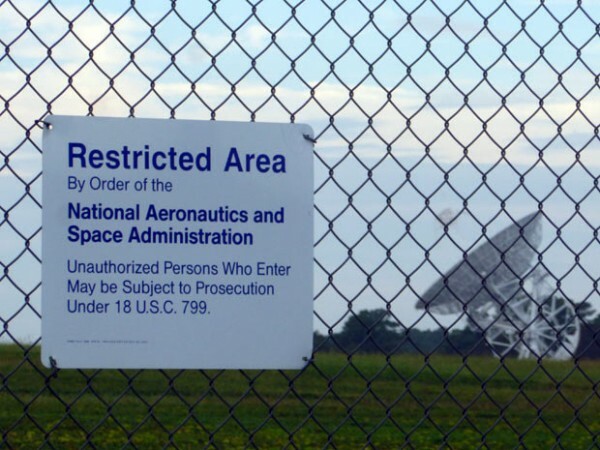 NASA’s Wallops Island flight facility – You might remember we almost sort of visited this when we went to Chincoteague, Virginia, this summer. We hope to return in the spring for a tour! As I mentioned in that post, we’d found a lot of info on chances to watch rocket launches there. Smithsonian National Air and Space Museum – This was a big part of our summer visit to Washington, D.C. Even if you can’t go in person (and I highly recommend it; admission is free), there are great online tours via the website. Smithsonian National Air and Space Museum Udvar-Hazy Center at Dulles Airport – We didn’t get to see this on our D.C. trip, unfortunately, but it is actually home to some of the larger space vehicles that don’t fit in the main collection. We’re planning to go back for this one! Astronomy Calendar Connections – This resource over at 1+1+1+1 is something we used when Sarah was in middle school and loved. A fact a day about space! How far away is the moon? This is a Veritasium video – an awesome science series! Star size comparison – This video shows how our sun ranks among other celestial bodies and is pretty amazing. Several space unit study boards on Pinterest – There are literally hundreds of great ideas here; I could spend all day sharing just those. NASA eBook features – Generally designed for older students or adults, these are digital guides published by NASA on everything from shuttle re-entry to the development of pressurized space suits. They’re academic-style treatises, but incredible information from the original source. NASA education home page – This includes a catalog of resources for educators, from CDs to DVDs and more. The Project Apollo archive – Tons of photos and more here from the Apollo space missions. Mars Curiosity Rover home page – This whole site is great, but their resources for students include a lot of especially cool things, like Rover free printables and help for research reports. All about Pennsylvanian Pete Conrad – My friend and fellow Pennsylvania resident Judy shares a great look at this Apollo astronaut’s life and some facts I didn’t know about his struggles with dyslexia. Have you studied outer space? Any ideas for good resources? Please comment and share; I’d love to add them to the list! This post is part of an occasional series of “Family Field Trip” posts, combining our own adventures with resources we’ve found helpful. Many of these will work even if you can’t visit in person! Earlier in the series, we shared free resources to help you learn about Philadelphia, Independence Hall and the Liberty Bell and others to help you learn about and make the most of a visit to Assateague, Md., and Chincoteague, Va. We also took a family field trip to Jim Thorpe, PA, and shared our favorite resources for that! I’ve also been doing a loose series of posts good for unit studies. An earlier post in that series shared our favorite Phantom of the Opera learning resources! 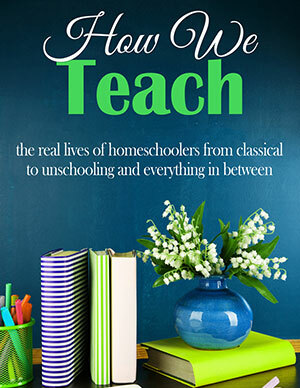 This entry is about books, curriculum, homeschooling, movies, science, technology, unit study, unschooling. 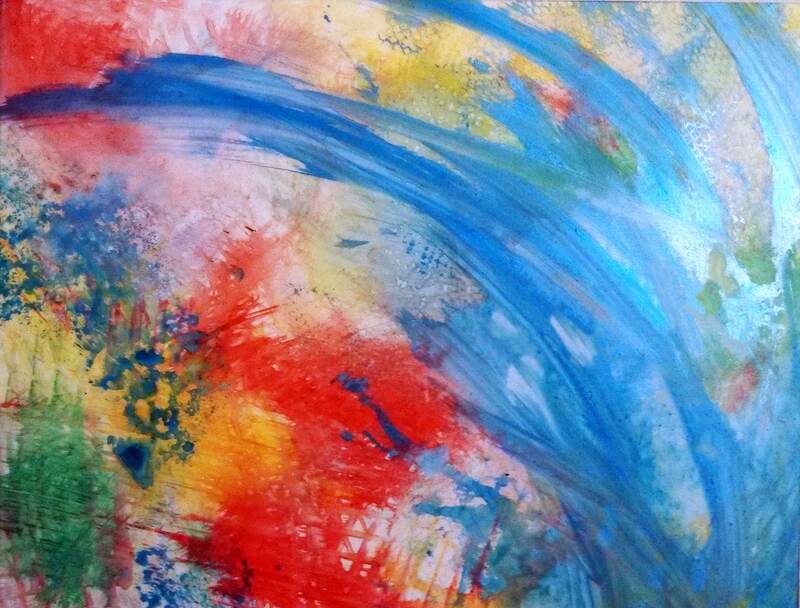 The previous post was What is it like to live with sensory processing disorder?. The next post is All my kids want to do is play video games – and that’s not bad. What a fun study! I love that Sarah enjoys biographies. I do, too! We are reading some about the business tycoons now. You are so kind so share all the work you have done finding resources. Phyllis, thank you so much! We are really enjoying biographies more and more as we go. It’s a fascinating way to learn. I can’t wait to hear more about the business tycoons – that sounds like right up MY alley! We live on the same road as The Johnson Space Center (NASA). Here outside Houston. We love to go there often. We got a great view of the shuttle as it flew over OUR APARTMENT BUILDING!! The church that I attend has a bible that was read from in space. It is really interesting to see. We have lots of NASA people that attend the church. Even one lady who piloted the Space Shuttle and was to the International Space Station. My daughter nearly cried to shake the woman’s hand. LOL We also enjoy watching the planes from the training base. They do lots of banks and loops. We even lucked out to see the Blue Angels. NASA is a great site for lots of science. Not just space travel. They have a wonderful program at the Houston Space Center. You can even get tiles from the Space Shuttle. Very cool. They are really good about lending stuff to local schools also. Amy, I am IMMENSELY jealous!!!! That must be amazing! I would love to get a chance to spend some more time in their facilities – really dig in. Their educator program is insanely cool. Sarah says maybe she’d like to be on the astronaut crew that is tentatively set to go to Mars around 2035. I said, well, you never know! You might see her flying over your house! There are a lot of great resources here. Thank you! Thanks, Teresa! I am so glad to help! Joan what amazing resources. 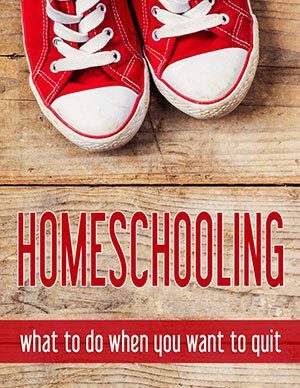 Honestly I could not homeschool without Homeschooling Mammas! I am pinning this. Aww, you are so nice! 🙂 Thanks for sharing! This such a wonderful collection! I am pinning it and thanks for linking it to Look What We Did. Thanks for this great list. I just pinned it. We plan to study astronomy next year. That’s awesome – I hope it’s helpful! This is a great Unit Study. I would like to invite you to link up this post on Money Saving Monday. Thanks for stopping by, Stephanie – I’m glad you did! I just linked up. I appreciate the heads up! What an extensive list. This is wonderful. I am linking up after you at Money Saving Monday. Janis, thanks for stopping by! You might be interested in looking at http://www.mars-one.com/ It is a private group that is sending permanent colonists to Mars in ten years, then more every two years thereafter as the planets realign in their orbits. Also, https://www.zooniverse.org/ allows you to take part in actual science by doing things like classifying galaxies as part of the sky survey program. People have discovered things like this: http://en.wikipedia.org/wiki/Hanny%27s_Voorwerp while assisting. It is a wonderful program.